May has arrived, and the first edition of Krk Food Fest – Asparagus and šurlice days has ended. After light and nutritious asparagus dishes, meat lovers will definitely welcome the start of the second stage of Krk Food Fest – Lamb and cheese days, on May 4th. The Krk's cheese is autochthonous Krk island sheep cheese, produced on family farms of the island of Krk. It is well known worldwide for its quality and specific taste. The sheep cheese from the island of Krk belongs to a group of semi-fat, hard sheep cheeses. The color varies between light yellow and deep gold, and the flavor is delicate, full and strong, characterized by aromatic Mediterranean plants that give sheep milk its typical organoleptic features and contribute to its unique flavor. There are also smoked sheep cheese or sheep cheese enriched with aromatic herbs such as rosemary, walnuts or sage leaves. For meat lovers, lamb is the ultimate delicacy. Especially when it comes to the lamb from the island of Krk. Its distinctive characteristics, a specific flavor and mild aroma, are the result of a diet of indigenous fragrant plants of the island of Krk. 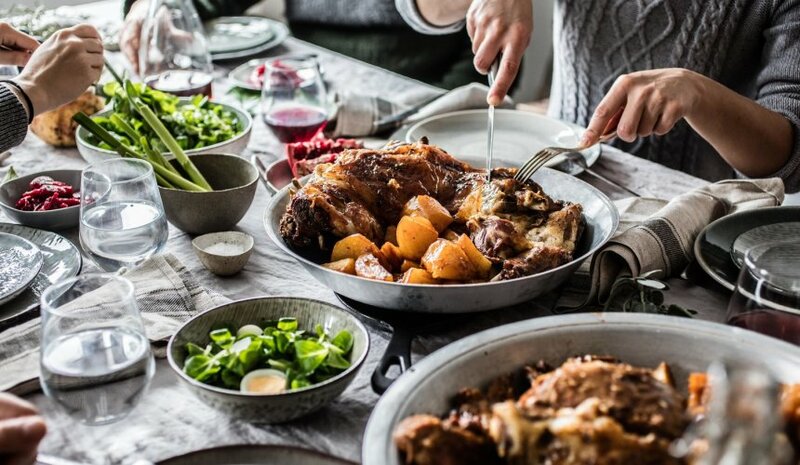 The most common lamb dishes are the traditional roasted lamb under a bell or lamb on a spit with spring onions, roasted potatoes, and homemade bread. Boutique hotel Marina, the most exclusive hotel of the hotel chain Hoteli Krk, is situated in a highly attractive location directly on the quayside in the center of the town of Krk. In addition, there is the star of this article - a gourmet restaurant Marina. 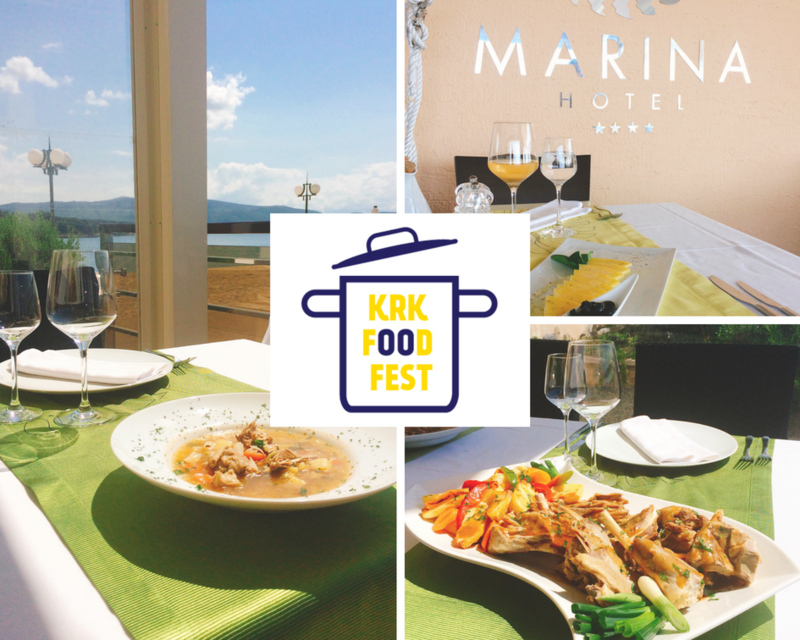 Restaurant Marina, which has been listed among 100 leading Croatian restaurants, is a great place to indulge in culinary delights of Krk and national cuisine, as well as to taste international specialties. Our main aim is to create a fine-dining experience by using fresh, local and seasonal ingredients for our menus, and for that reason, we often offer special themed gourmet menus. So, it is not a surprise that we participate in a Krk Food Fest as well. The special menu includes the selected lamb and cheese dishes at promotional prices. In order to represent the authentic experience of our gastronomic offer, we decided to introduce our cuisine and share the recipe of one traditional lamb dish. We have chosen the all-time classic - roasted lamb with crispy new potatoes and rosemary. Season the lamb with sea salt and rub all over the meat. Place it in a large roasting tin with olive oil, and roast in the preheated oven on 220ºC, both sides until it starts to turn golden brown. Add wine, rosemary, garlic and some vegetable stock, then lower the oven temperature to 180ºC, and roast for about 1,5 h to 2 h. Add stock to keep it moist while baking. About half an hour before the end of the roast time, add potatoes and onions, cut into large chunks. The island of Krk is above all known for its quality wines, particularly for white wine Vrbnička Žlahtina. With these culinary delicacies, we highly recommend this quality dry white wine, characterized by a beautiful pale yellow color. In the end, as we Croatians say, dobar tek! - enjoy your meal!